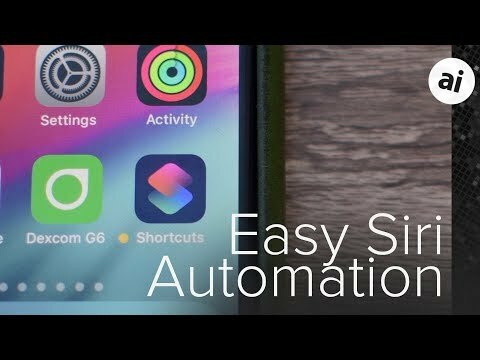 Accompanying Tuesday's iOS 12.1 update is a new version of Shortcuts, Apple's custom automation tool, with a host of new possible actions. Automations can now fetch weather data thanks to "Get Current Weather" and "Get Weather Forecast" actions. "Measurement" and "Convert Measurement" actions, meanwhile, are said to enable conversions for "a variety" of units. Some other new options include "Create Alarm," "Toggle Alarm," and "Start Timer," plus the ability to process recent images from the Photos app via "Get Last Import." HomePod owners will find that if they run a shortcut via Siri, media will automatically play back on that device by way of AirPlay. Shortcuts 2.1 is a free download for iPhones and iPads running iOS 12 or later. Love Shortcuts. I use two shortcuts everyday. I wish the weather conditions detail would let you look at forecasted values. It'd be so cool to wake up and have a notification on my phone say, "Tonight looks perfect for tennis", or "The weather's perfect for biking into work today."